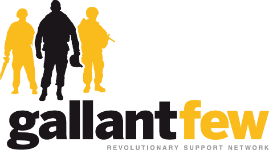 Descendants of Sparta an anti-suicide platform brought to you by GallantFew, Inc. Committed to helping every veteran achieve a peaceful and successful transition. Descendants of Sparta © 2019. All Rights Reserved.